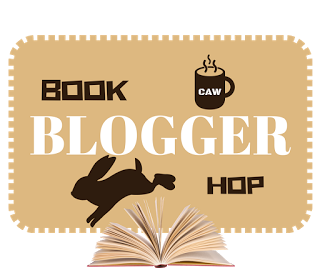 Do you follow other book blogs and if so, who are your top 3 bloggers? Kay's Reading Life - Kay reads so many mysteries spanning all genres and she's seriously dangerous to my TBR. She also has a Bookish Nostalgia feature where she talks about books she was reading 20 years ago, 10 years ago and so on. It's fun to get a look at some not quite as bright and shiny books. Caffeinated Book Reviewer - Kim is one of the most dangerous book pushers around. Plus, she runs the Sunday Post linkup which is one of my favorites. 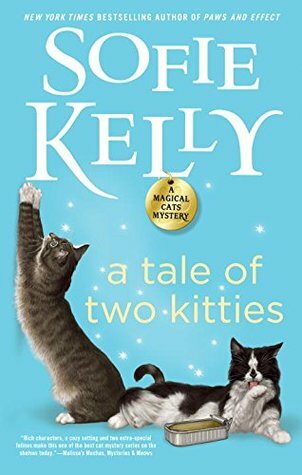 This week's book is A Tale of Two Kitties by Sofie Kelly. This is a new series for me but one I've seen around for awhile. I'm not usually drawn to cat centered cozies but I do love a punny title and this one is a pretty good one. Plus, this one involves a twenty year old scandal and I always love a secrets of the past plot! You'd think by now that it wouldn't bother me to step on a body in the middle of the kitchen floor, but I was in my sock feet and the body - missing its head, no surprise - was damp. That's a pretty intense beginning for a cozy and the narrator is very nonchalant about finding a body in the kitchen. Of course, the next sentence is - With cat slobber - so that explains all that. Roma smiled "I think I'm going to be a cat in my next life." Sometimes that seems like a pretty god idea. So what do you think? Who are some of your favorite book bloggers? Looks fun! I'm not sure I've ever read a cat- centered cozy but I can see it being fun! A damp headless body... lol.. ok. I'm curious. Sounds like a fun read. Enjoy! Well, gosh, thanks for the shout-out here, Katherine! I love visiting you all the time too, but yes, my aim in life is to make other people's TBR as long as mine. I'll never stop until I accomplish that. Ha! Thank you, Katherine! What an honor :) I have been having a great time with the Books from the Backlog link up and am finding lots of books that I kind of forgot that I had. I have never read Sofie Kelly but this one would be worth picking up just for the title and cover. I hope you enjoy it! Kitties! I don't mind cat-centered books, although I am not a fan of the ones where they can talk. :-) This does sound cute--and I love a good scandal from the past. My favourite cat whodunit was The Cat Who Talked to Ghosts - and no, the cats didn't chatter to their owner, but they were a pair of smart Siamese cats whose odd behaviour gave him a clue that things weren't right. It was part of a series and I haven't read any others, but I do keep meaning to return and read some more. I do love the sound of this one, though. Carole is a good one :) I enjoy her, too. I can't pick my favorite book-blogger. That would be like picking my favorite cupcake!